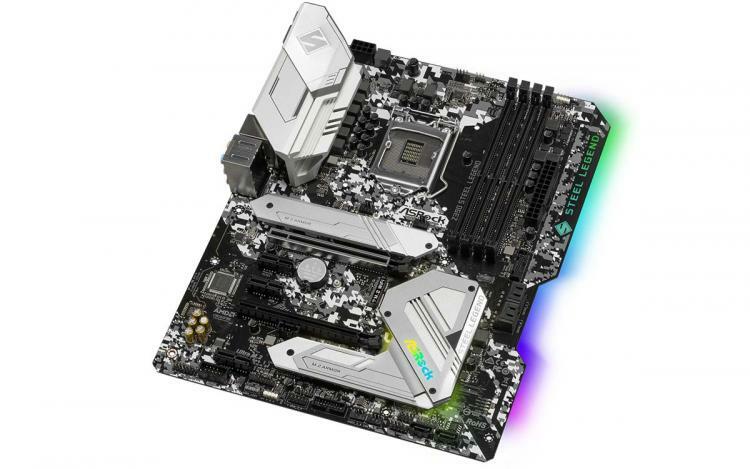 ASRock expands its new Steel Legend Series motherboards to the Intel LGA 1151 platform featuring the Intel Z390 chipset – the new ASRock Z390 Steel Legend Motherboard. ASRock’s first line-up of Steel Legend Series motherboards feature the AMD B450 chipset for the 1st and 2nd generation Ryzen processors. 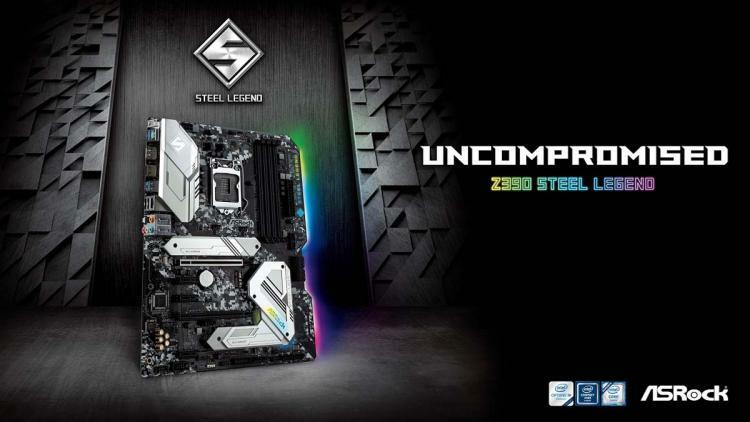 Today, ASRock introduces its first Steel Legend Series motherboard for Intel featuring the Intel Z390 chipset for the 8th and 9th generation Intel Core processors. Featuring the same Steel Legend design philosophy, the Z390 Steel Legend also features large and impressive Aluminium Alloy Heatsinks that allow fast heat dissipation for higher and stable overclocks. It also comes with M.2 SSD heatsinks to ensure SSD drives run cool. Check out our ASRock B450 Steel Legend Motherboard Review here. The ASRock Z390 Steel Legend motherboard features Premium 60A Power Chokes and Nichicon 12K Black Caps for superb durability and stability. Its dual massive full coverage M.2 heatsinks ensure high-performance PCIe NVMe SSDs never run hot and working at its best. The motherboard also comes with steel-reinforced PCIe slots to support heavy graphics cards and reduce signal interference. The ASRock Z390 Steel Legend motherboard comes with ASRock Polychrome RGB lighting on its PCH heatsink and supports other ASRock Polychrome RGB Sync-enabled devices for synchronized RGB lighting. The ASRock Z390 Steel Legend is built for stability and performance, ready for the demanding needs of enthusiasts, gamers, professional video editors, and other power users. ASRock did not reveal information on pricing and availability as of this writing. Learn more about the ASRock Z390 Steel Legend Motherboard here.